If you buy into any of the advice in this series, this will be the one to give your attention. Of course, if your church has a secretary, he or she probably uses a computer (then again, some churches prefer a slab of rock and a chisel. We aren’t judging). However, having many computers can be very beneficial. Think back to the last two posts. Consider my suggestion of having a photography club. 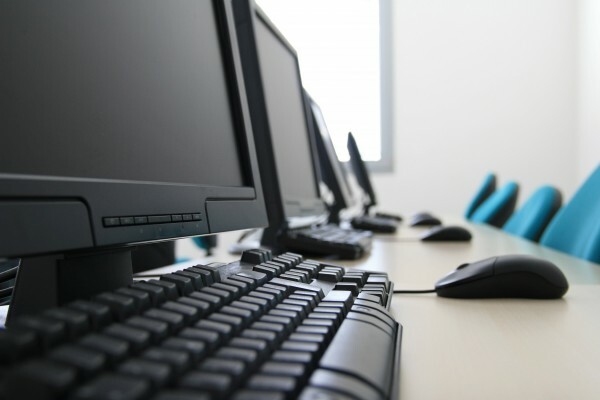 A computer lab would allow the members to use software such as Photoshop or Gimp to edit the photos in the church. If you like the idea of using television or projector screens in the church, you will need a computer to create slideshows. A sound manager would be able to mix tracks and make recordings in the church, which could persuade performing groups to visit your church. An event like this would draw people in, even if it isn’t for a service (now remember the happy photos you hung around the church. All part of the plan). These are only a few ways you can use a computer to advance your church, but keep this one in mind. You’ll find that most of the ideas in this series will either require, or benefit from a computer or two. If your church could use a new computer, keep in mind that our sister company, Singleton Technology, has refurbished Windows 7 computers for great prices. Give us a call today!